Join us for a symposium that will bring together scholars, students, and community members to address the manifold conflicts and social hierarchies that have been, and remain to be, endangered through spacial expressions of law. This intersection of law and space will be explored through the linked lenses of racialization of space, environmental justice, and contested articulations of rurality. Talks will include displacements of indigenous populations and the evolution of land rights struggles, rurality as a centerpiece of both the environmental justice and conservation movements, the allotment of misdemeanor offenses to further racially encoded urban space, and the merger of images and law to structure racial hierarchies in cities. 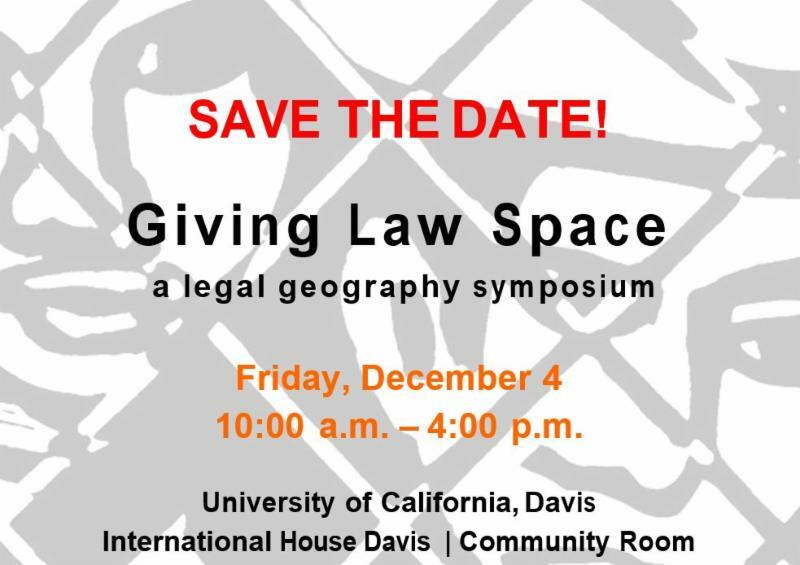 This symposium will be an exciting venue to share, learn, and build the burgeoning interdisciplinary approach known as legal geography. We look forward to seeing you there! The California Communities Program, and Native American Studies. For more information, please email Tarecq Amer. The CRC is a catalyst for innovative, collaborative, and action-oriented research. It brings together faculty and students from different disciplines, and builds bridges between university, policy, advocacy, business, philanthropy and other sectors. The CRC’s goal is to support the building of healthy, equitable, prosperous, and sustainable regions in California and beyond. Learn more! Visit the crcinfo or call us at (530) 752-3007. Support us! Make a tax-deductible donation to the CRC online today.